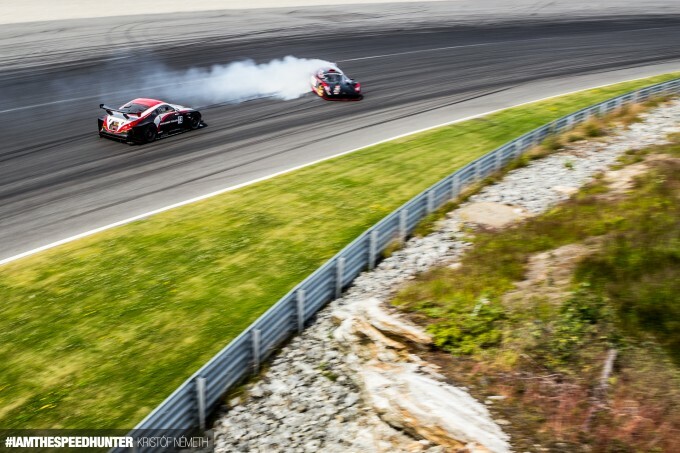 Just in case you hadn’t already noticed, here at Speedhunters we love cars and photography – a lot. We know that many of you share these passions with us, so last month we put out an announcement asking for you to send us your favourite Speedhunting Moments for us to share. 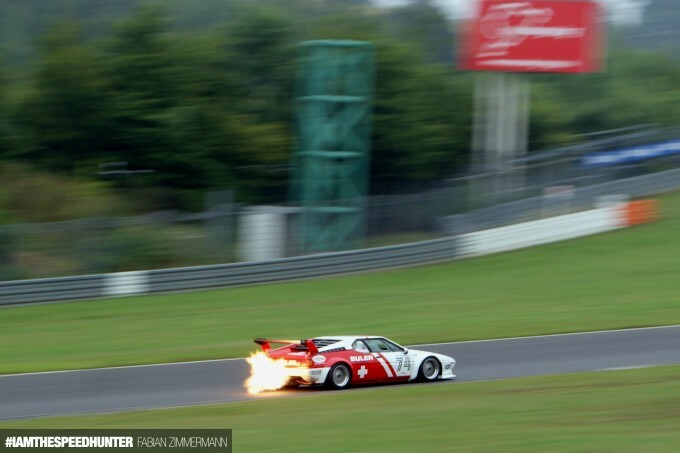 As a result, we don’t think we’ve ever received so many emails in our IAMTHESPEEDHUNTER inbox! As always, it was difficult to select which photos to feature, and in the end we managed to narrow it down to 30 action-packed images from all corners of the world. So sit back and enjoy these beautiful, exciting and crazy moments that some of our readers have captured through their lenses, and don’t forget to enable Presentation Mode for maximum effect! 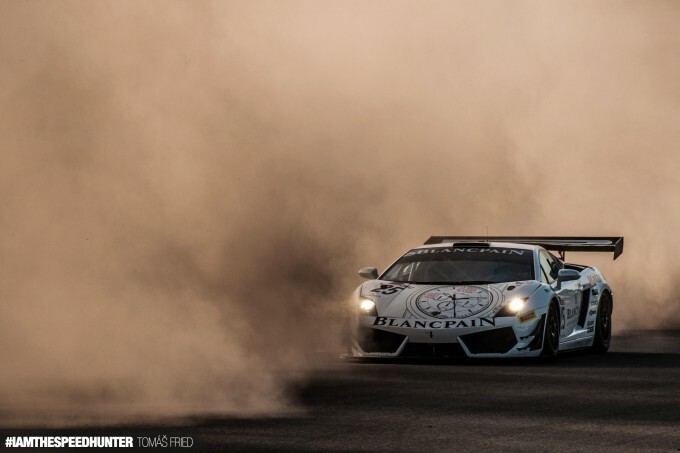 Tom Fried captured this atmospheric image of a Lamborghini Gallardo competing in one of the FIA GT races in Slovakia. 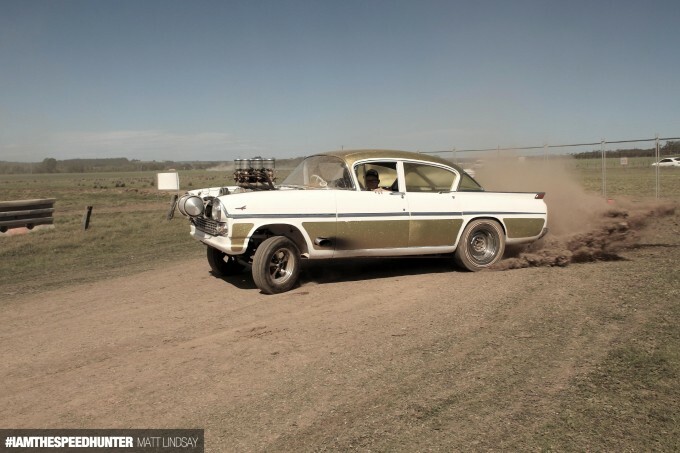 Tom writes, “It’s usually quite hot and dry at the Slovakia Ring, and when the cars go even the slightest off track they kick up an insane amount of dust. I found this kept happening so I tried to use it to my advantage in my photos. I liked this shot in particular as it almost looks like the car is racing to escape an approaching dust storm.” The red hue of dust and the way it frames the car is definitely something special – nice one, Tom! 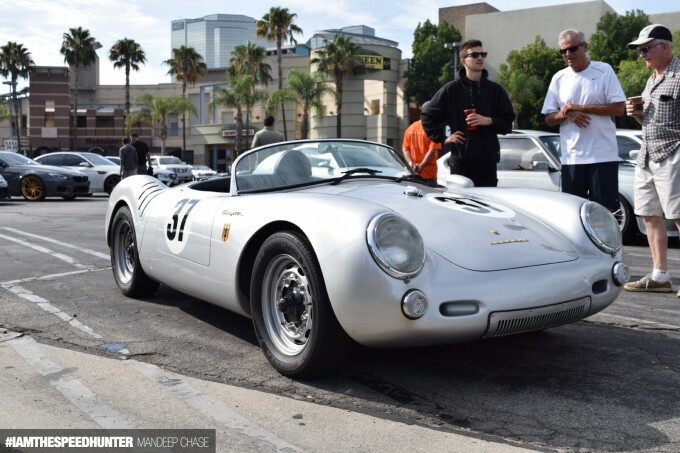 Mandeep Chase heads down to the local Supercar Sunday car meet in Woodland Hills every weekend, and on one occasion he spotted this beautiful Porsche 550 Spyder. 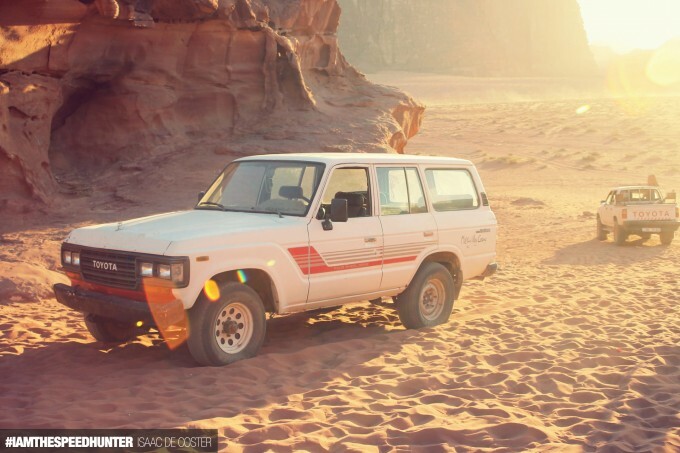 Although the car itself is pretty cool, Mandeep pointed out that one of the reasons he enjoys this local meet so much is seeing the different types of people that get together and talk cars – especially people of all different age groups. 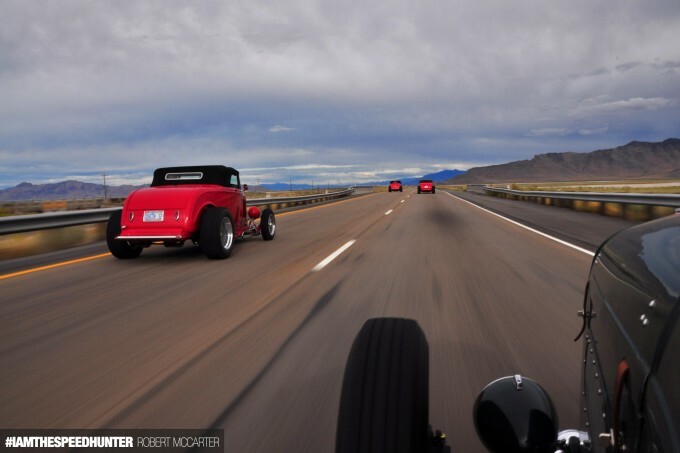 “This is what car culture should be about, and that’s why I love this picture,” he says. We couldn’t agree more. 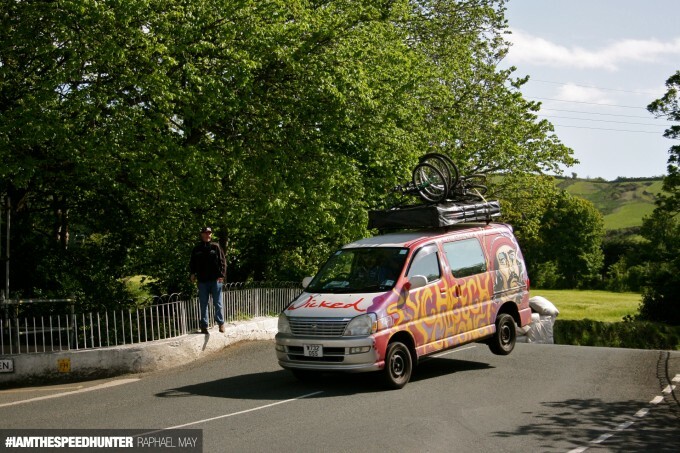 Aussie resident Peter writes, “I was coming back from photographing a downhill mountain bike race in the Adelaide hills, and instead of taking the main highway home I decided to take a bit of a detour. There’s a visibility mirror on a tight hairpin on this route, and whenever I drive past it, I always think that I should take a photo one day. As I was coming up to the corner, I realised that I had my camera – no better time than the present! 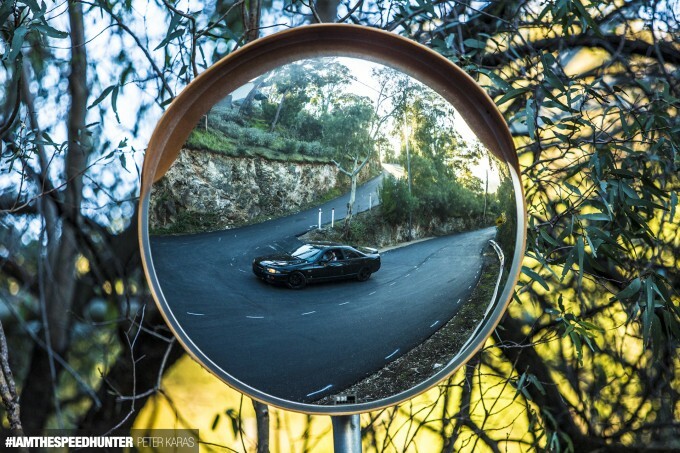 I really like the shot because it combines my car, photography and the Australian scenery.” Now that’s what we call a selfie! The famous Daikoku-futo Parking Area has to be one of the best car-spotting locations in the world, and Japanese car enthusiast Alex was lucky enough to visit there on a recent holiday to Japan. “It was around 1:00am when this fella parked his JZX81 Mark II in the perfect spot for the PA’s light to shine on the snow white body, making this my favourite shot of our trip!” Derek explains. Dan Morris recently visited the infamous Nürburgring for the first time, where he snapped this fantastic panning shot of the Martini-liveried H&R Racing Porsche 935 K1. 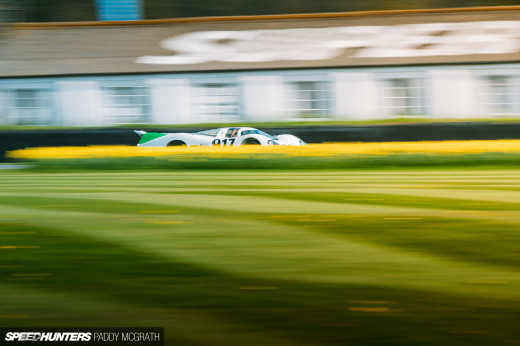 Dan writes, “As the support race for the N24, the N24 Classic featured many period race cars flexing their perfectly restored muscles. 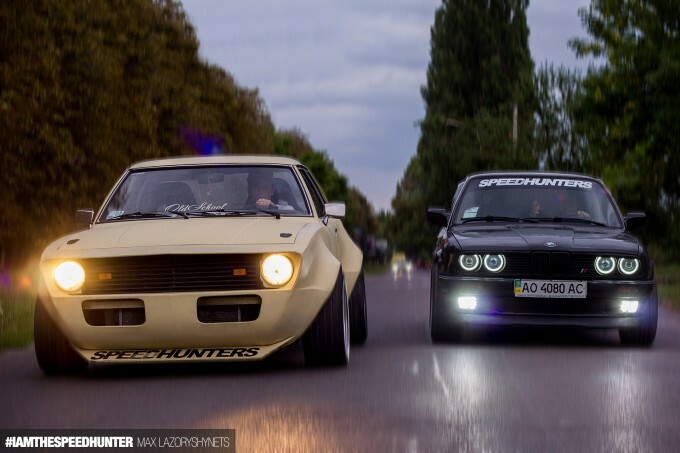 As my friends and I sat on the banking by the exit of Hatzenbach, I had a Bitburger beer precariously lodged between my feet, and the sunlight for this shot was just right.” That sounds like a perfect Speedhunting moment to us! 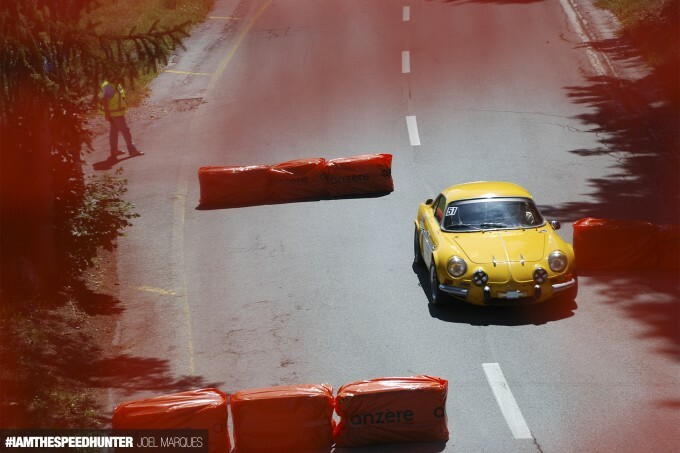 Tadej shared with us this wicked moment from an event he recently covered in Austria – Gruppe-B Rallylegenden. 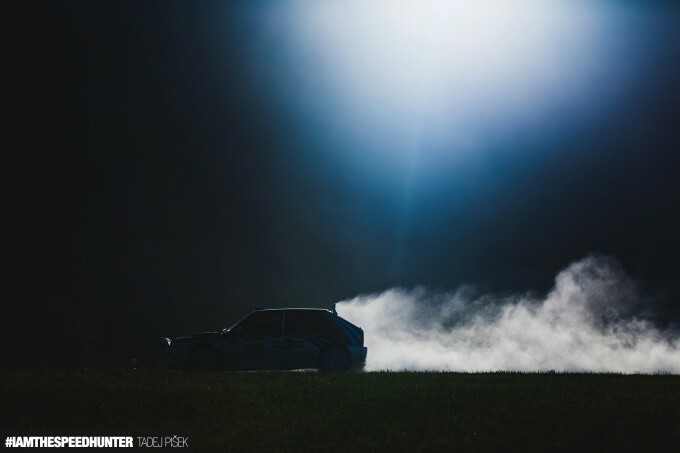 He explains, “I managed to get this shot of a Lancia Delta on the gravel part of the last stage of the first day, when the sun was setting behind the trees on a hill, so I could just capture the bluish flare and the backlit gravel dust behind the car at the same time.” Just wow! When Nguyen was nearing the end of his vacation in Italy he was feeling a tad disappointed about not getting the chance to visit Ferrari. Little did he know, however, that a classic Italian beauty of a different kind was lurking in one of the small empty side streets of Rome. 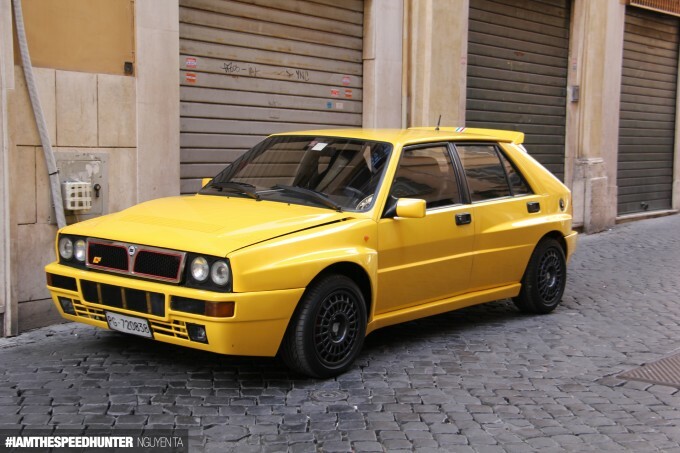 Naturally, he couldn’t resist capturing a quick snap of this pristine Lancia Delta Integrale in its home habitat. 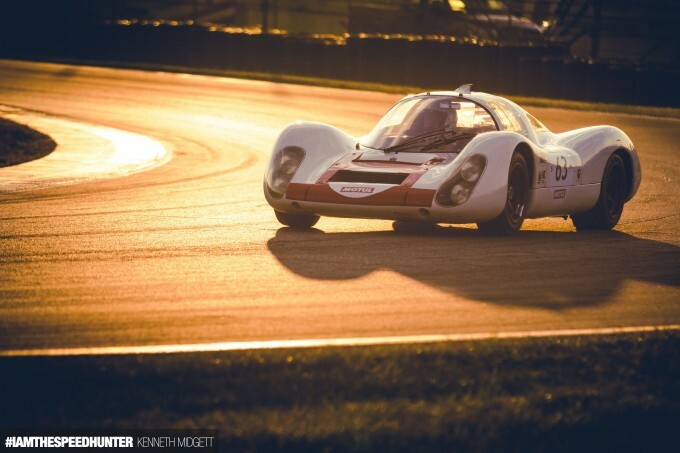 Nashville-based photographer Kenneth Midgett shared with us this beautiful moment of a Porsche 907LH basking in golden sunlight at Daytona. He writes, “I was covering the inaugural HSR Classic 24 Hour last year, and it was my first time shooting – or even being – at the world-famous Daytona International Speedway. 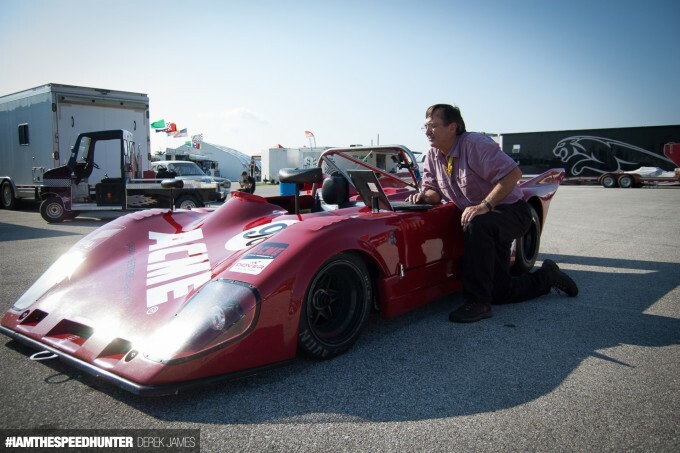 Every photographer has that ‘money shot’ that they dream of getting, and after waiting for the morning sun to crest Daytona’s legendary banking, that moment presented itself. This is easily one of my favorite shots and one I’m sure I’ll always be proud of!” A gorgeous shot – nice one, Kenneth! 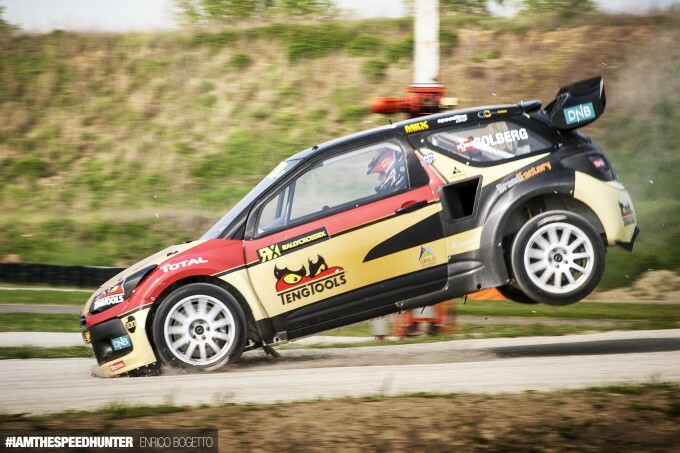 Enrico was shooting at the RX Media Day at Franciacorta Circuit, where he captured Norwegian driver Petter Solberg getting a crazy amount of air over the first crest of the course. 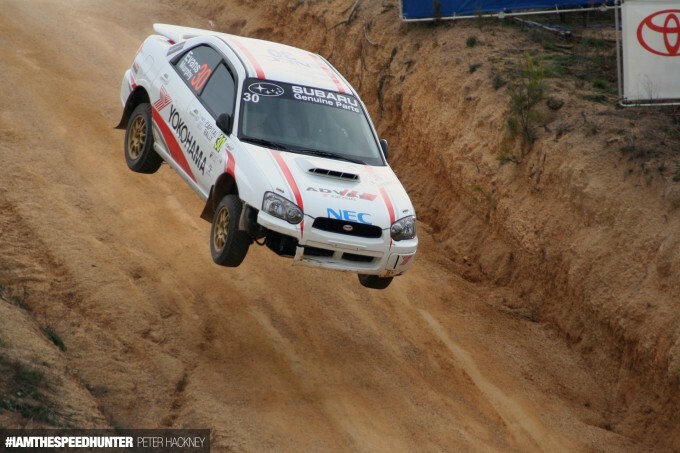 This really gives you an idea of the extreme punishment these cars have to endure! 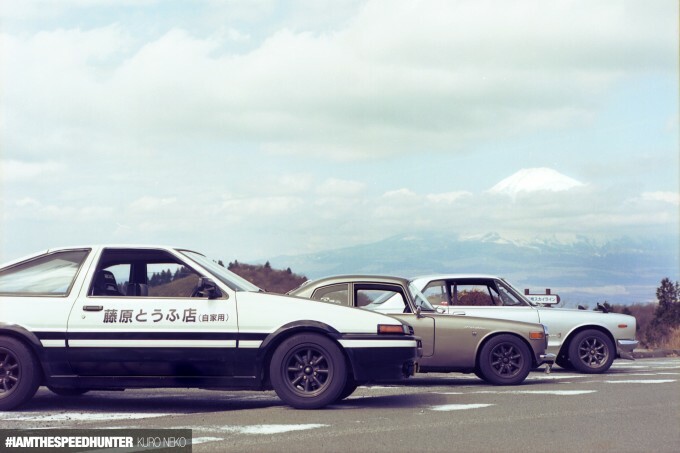 Last but not least, Kuro’s moment includes an AE86 ​drift legend, a 10,000rpm-screaming twin-cam Honda, and a snarling Nissan in-line six in front Japan’s most famous mountain. Taken on the popular Hakone Skyline road on a clear day with breathtaking views, this is one Speedhunting moment that we’re sure will be cherished forever. 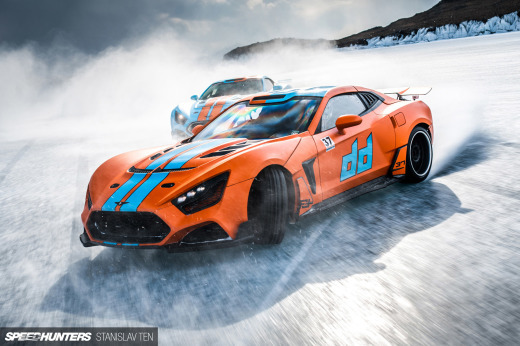 A huge thank-you to everyone who submitted their photos for this feature, and we hope you’ve enjoyed this exciting collection of imagery of different Speedhunting moments taken by you, our readers. Until next time, happy Speedhunting! 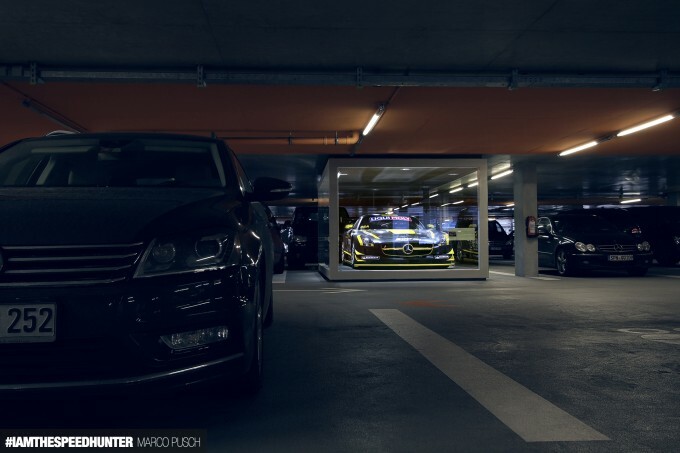 Speedhunters.com – Watch out for our monthly announcements on how you can take part and submit your content to feature in one of our monthly themes! I'm very impressed by this ! RDS The sound it made was devilish, dude. Top notch creativity. I absolutely love Dennis Podnebess' shot. 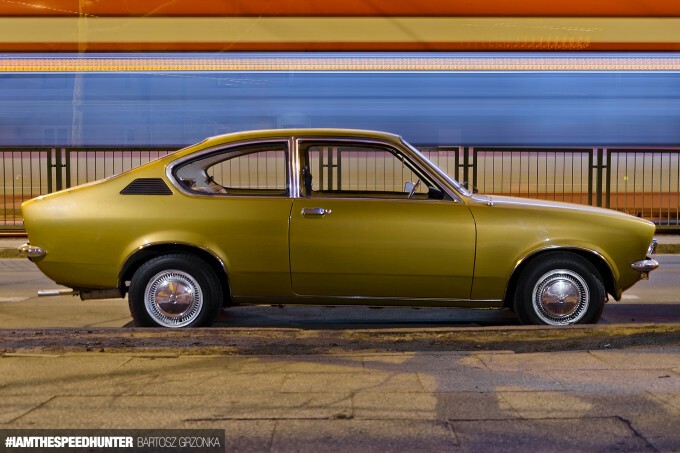 Really interested in the taunus too, any build videos/ threads? Do you have more photo of it ? Wow, some absolutely brilliant photography in there! Makes me want to get out and start shooting more. Thanks for sharing SH! Elijah Lane Many thanks, love that car and my hometrack! 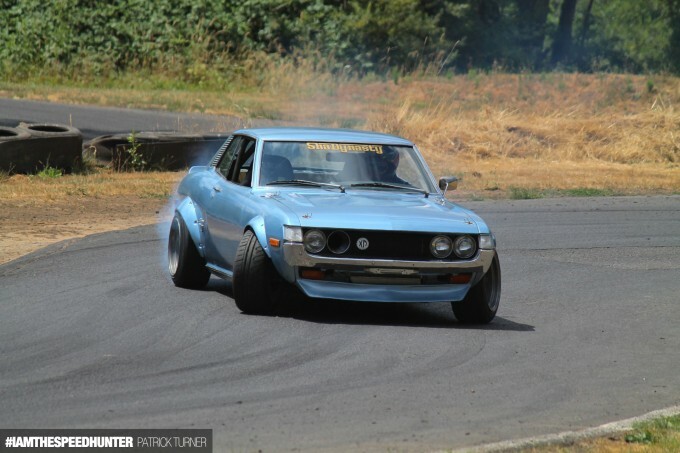 @speedhunters I don't know if you all have someone in KY but I would like to see someone cover the beatersville next time they have it. Hehe, seeing first time my country there. Thanks for 4 pictures on my desktop, dudes! I've attended and shot Beatersville the past 4 years and the cars just get more incredible every year. Another great show thats basically the same as Beatersville is the Hullabaloo in Lexington, KY. It actually takes place tomorrow. WOW, I'm glad I looked at this article! There is so much amazing material right here. Credit is due to all of these photographers. Every. Single. One. There is so many beautiful and emotional shots here. ShoKuuR SH yes, if you want a show that will open eyes you need this. The level of customization is crazy. It's a breath of fresh air in a world of bolt-ons. 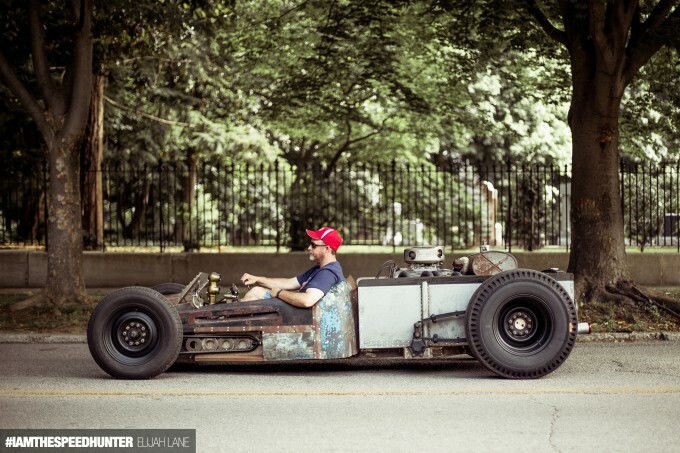 You have to feature that mid engine rat rod! I must see more! @nick That is one event I make sure to attend every year. 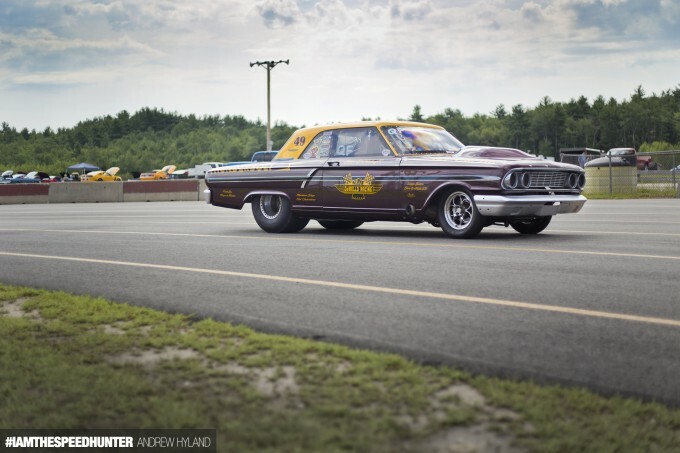 From the cars to the pinup contests. It is a great atmosphere. Elijah Lane Nice to see other KY photographers covering events. golden C-Coupe is the favorite!!! Well done! 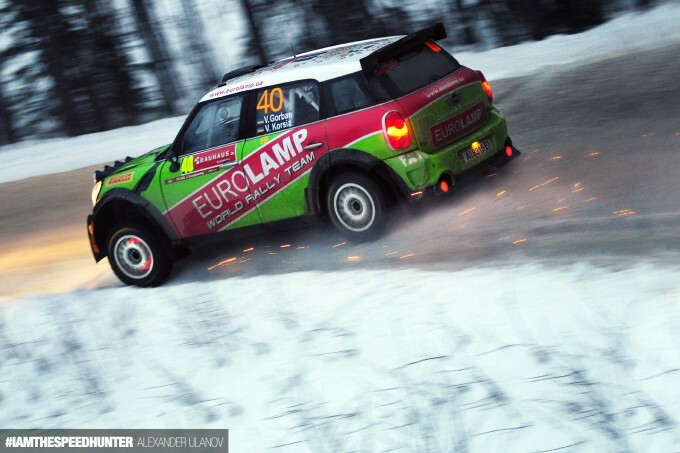 @ Tadej Pišek - fantastic pic, I hope you don't mind my using it as my new background? Its on Contract Street in Lex. Free entry. Food, vendors, music. Usually ends around 4PM. And closer to 2PM they have the "Hoodlum" race which is like a soapbox car race down contract street in little cars made out of old car hoods. Just google lexington hot rod hullabaloo and you should find a lot more info. I think i have 3 or 4 shots of the one you're asking for in it. Thanks SimonSheldrick, I'm glad you like the photo; feel free to use it as a background, no problem. If you are interested in more shots like this, you can check racemedia.si . Thank you , I see a few more interesting cars in the album ! Thank you to show fans pictures! Elijah Lane Great work!!!! I'm truly loving the old rat mini as well as the bikes that you took. I see a future speedhunter perhaps?! This isn't a side of car culture we see enough of. Nice - Global Speedhunters.... making the world spin that little faster. Can i send more than one picture inside an e-mail? 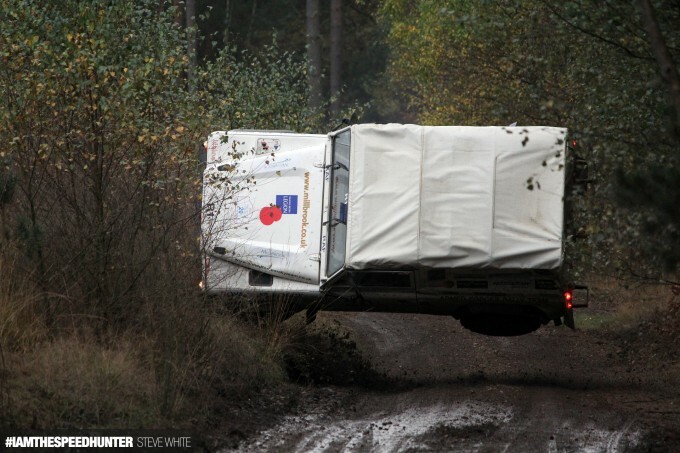 Thanks for the op, some great accompanying work! Neko. Your definitely have to do this again! Those photo's were epic! 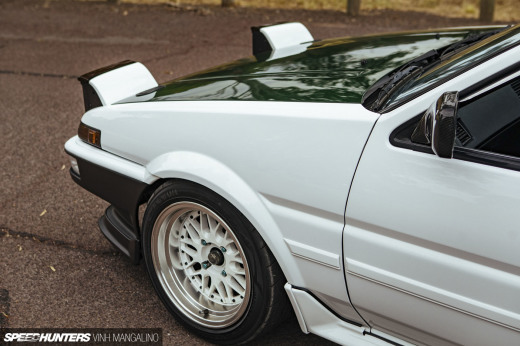 At least once a month I think a page of part time speed hunters. Would it be possible to post *all* submitted images somewhere? For example on flickr. 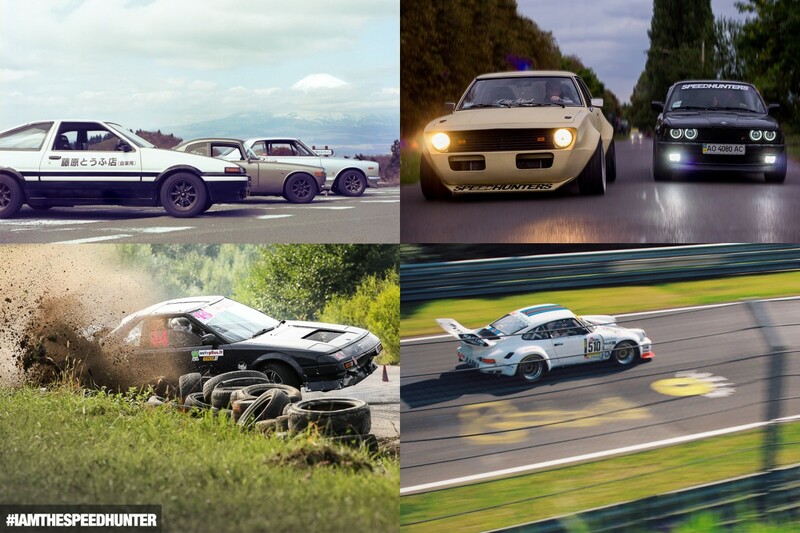 Would love to see them all gathered in one place and check out how really wide spread the speedhunters audience is. Thank you for this opportunity! 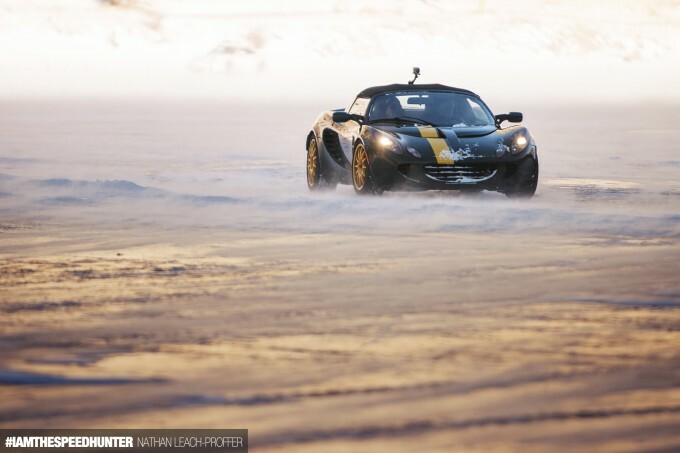 So happy to be featured with all of these other talented photographers on Speedhunters! 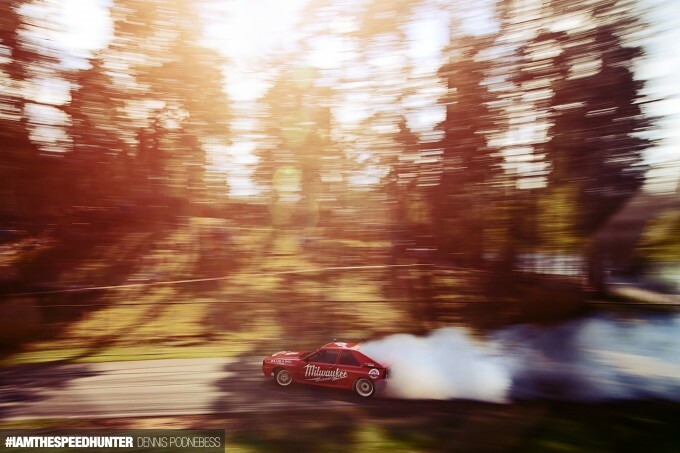 Thanks for the feature Speedhunters, nice to see you appreciated the Land Over. I love every single photo of this set but the last one blew me away!